The Workun Garrick Partnership provided full architectural and consulting engineering services including programming, preliminary design and design development, preparation of contract documents and construction phase services. This project involved the design and construction of a new three-storey, wood-framed, 65 unit senior citizens’ lodge. 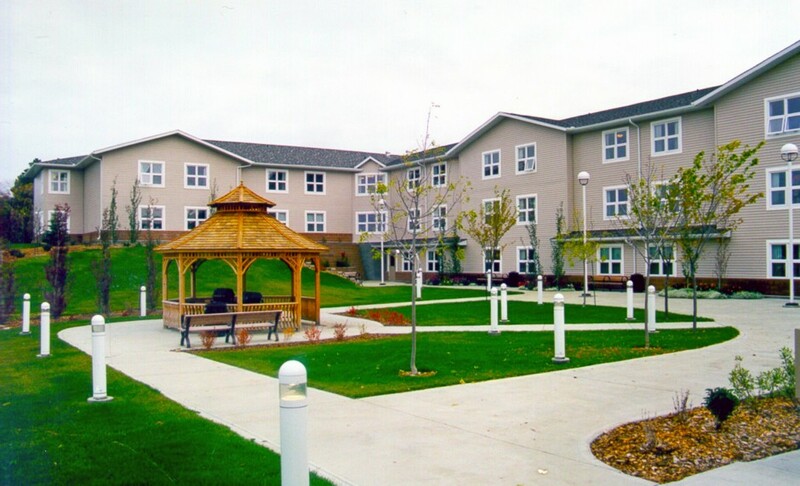 Each resident unit contains washroom and bathing facilities, and many unique senior-friendly features. Specific amenities include a full commercial kitchen and dining facilities, commercial and residents’ laundry rooms, Chapel, activity space, residents’ storage and offices for lodge administration.